The Salatin Semester, a comprehensive course featuring the teachings of you-know-who, is the latest educational offering from Verge Permaculture. I review the course. After that: a conversation with Eric Barnhorst about his take on a home-made vacuum seeder, and some of his approaches to working with soil blocks. 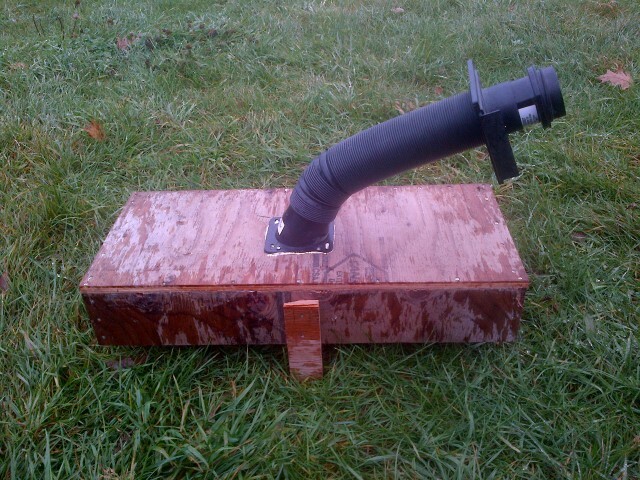 Eric submitted some photos of his vacuum seeder and his soil block trays. Below are the photos that Eric Barnhorst of Eva Mae Farm provided as a reference for our conversation on his DIY vacuum seeder and his soil block trays. The super simple seed tray is a rough pine 1x10 (it's a nominal 1x10, actually 9 1/2 inches wide), with a 1x2 screwed on to one of the long sides to help register the edge of the blocker for a straight line. It also gives me a grip to pick up the tray and in a pinch I sometimes write on it in sharpie (if I'm out of labels). This one fits 48 2-inch blocks (4 presses). I also do 72-count trays on a 1x12 (6 presses) without the 1x2 but I much prefer having the edge to work with. The first photo shows the bottom - this is what you are looking at when you dump the seeds in. The plate is 1/8 mdf - too flexible as I mentioned, but the sealing around the edge worked great and gave me a lip to hold the seeds in without sucking them into the seam. I think the lip is about a quarter inch. The legs around the edges hold it at the right height above the block tray, and the right angle leg (in the bottom left) pushes against the tray on two sides so you know that it's positioned in square. The second photo shows the top. The black parts are (starting at the box) a dust port, flexible hose, blast gate (to turn the suction on and off) and an adapter for the shopvac hose. These are all dust collection system parts that you can get from a woodworking store. 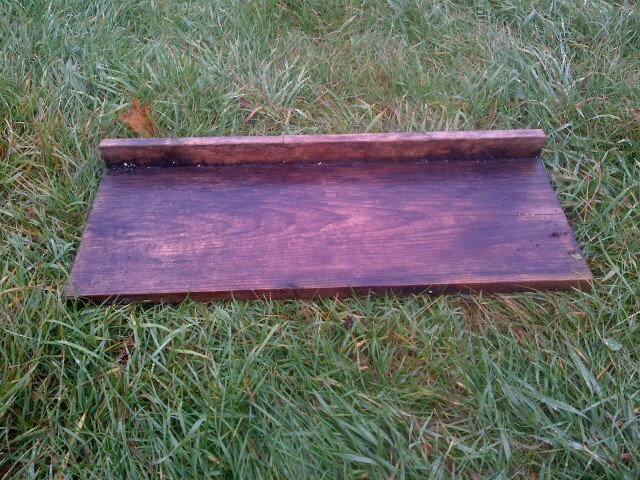 The last photo shows how the seeder lines up with the tray. The leg on the right just holds it at the right height - it's the right angle one and the other one (not in the picture) that line up the holes with the tray. It's very fast to use, but the singulation for small seeds is horrible. As I mentioned, I'm hoping to try a stiffer plate and maybe drilling the seed-sized hole not all the way through in order to create a cup, and then putting a pinhole at the bottom. I may also try lower suction, because I used a fairly powerful shopvac that I already had lying around.